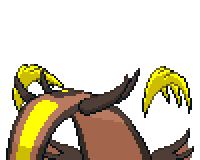 Stunfisk is a dual-type Ground/Electric Pokémon. It is not known to evolve into or from any other Pokémon. It can Mega Evolve into Mega Stunfisk using the Stunfiskite. It conceals itself in the mud of the seashore. Then it waits. When prey touch it, it delivers a jolt of energy. A level of "Start" indicates a move that will be known by a Stunfisk obtained at level 1. 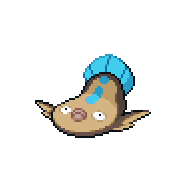 Additionally, Mega Stunfisk is the only Pokémon with a base stat total of 571. 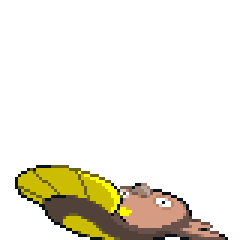 Stunfisk has the lowest Speed base stat of all Electric-type Pokémon. Due to its type, Stunfisk's Limber Ability is redundant unless its type changes, such as via Camouflage, Reflect Type, or Soak. 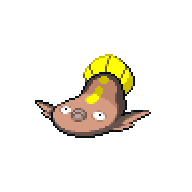 Mega Stunfisk has the highest Special Defense base stat of all Ground-type Pokémon. 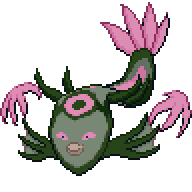 Due to its ability, Mega Stunfisk has the highest special attack of any Pokémon.